Patina, that’s a fun mix of Celtic and folk originals and covers spreading good vibes, better music and great times. 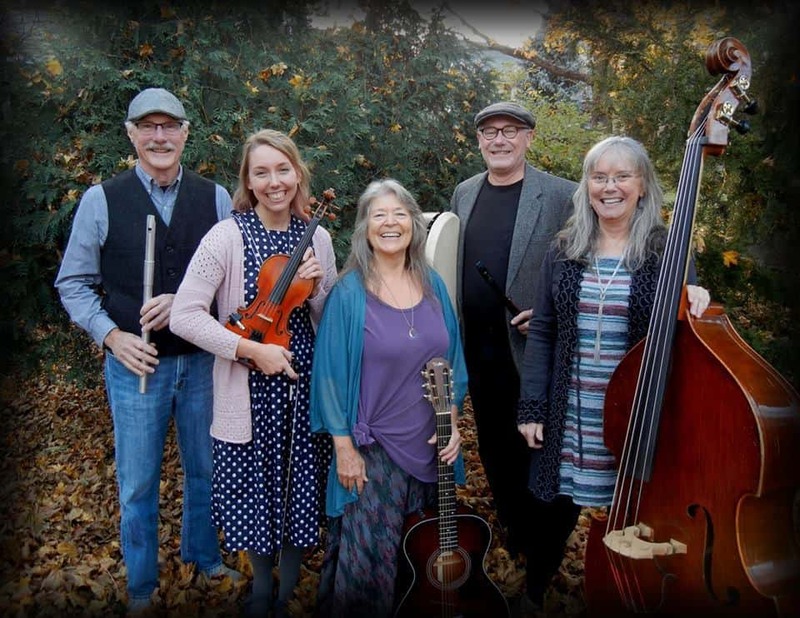 Kara plays the violin & sings, Mike plays Celtic whistles, accordion & bagpipes, Connie plays the double bass & sings, Sue Lee plays the guitar & sings and Greg plays the bodhrán and whistles to round out the band. The Irish music will be paired with Irish food and – alas – the Saloon becomes a Shebeen.